Modern Star increases daily sales visits by 60% after implementing MapAnything. Modern Star Pty Ltd focuses on two main areas - (1) the education space with schools and early childhood centers, and (2) retail space in independent toy shops and major toy shops. The company operates across three sectors - Education Resources, Education Fundraising and Educational Toys - to sell products that encourage motivated, thoughtful and active children and are dedicated to the ethos of Building Knowledge, and operates 14 different Education Resource supply companies located throughout Australia, New Zealand, Hong Kong, and Singapore. Their Education Fundraising program, Parent Direct, provides parents and children with high quality toys from leading toy brands and generates valuable funds for schools and childcare centres. Modern Brands is a major supplier of educational toys in Australia and New Zealand. To date, 40,000 schools or child care centers, and over 2,000 independent toy shops utilize Modern Star products across Australia, New Zealand, and Asia Pacific. How can we maximize ROI & grow quickly? Modern Star recently went through a sales rep expansion into new territories; along with that, comes efficiency planning. Having already implemented Salesforce, Modern Star began looking into any associated tools that could increase their ROI. Traditionally, ROI means monetary increase or time savings, but in the case of Modern Star, uniting their teams across multiple countries and continents was on their radar, as well as helping their new sales reps onboard faster, ensuring territory balance, and overall increase in valuable customer facetime. 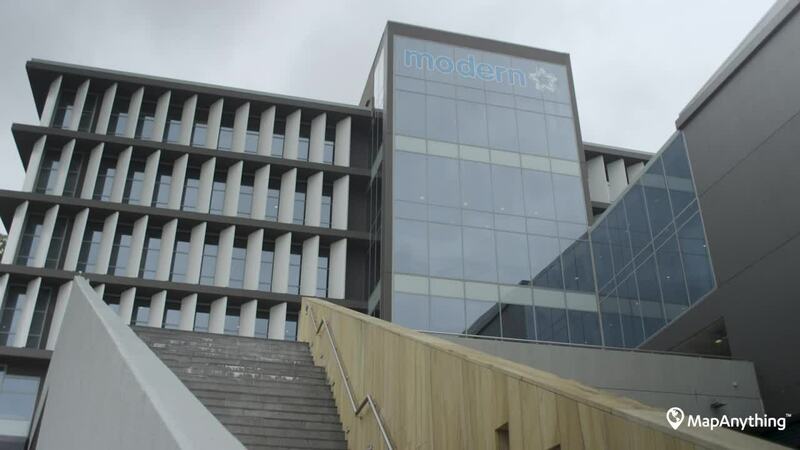 Modern Star was looking to work with partners with our Salesforce investment that can really help us capitalize on our investment with Salesforce. We found Map Anything to be extremely helpful. Modern Star needed a tool to maximize productivity, while minimizing the associated admin work. With fast growth in new territories, they realized some accounts were getting missed or not being seen as often as they should be, and that it was very hard for reps to plan based on just a Salesforce data report. They also wanted to introduce a new tiering structure to all of their accounts that allowed reps to easily pull up “priority” accounts when visiting their territories. They had been working with Salesforce to implement custom objects, found MapAnything, and began mirroring the tiering within MapAnything layers. We started looking for solutions so [the reps] could see a graphical representation on a map of where their accounts were. We found MapAnything and got connected to their Sydney location who has been extremely helpful in bringing our data to life to help our sales reps plan their days as efficiently as possible. They had been working with Salesforce to implement custom objects, found MapAnything, and began mirroring the tiering within MapAnything layers. They started with a variety of layers built around different criteria - all accounts, school accounts, early childhood development, etc. After that, they began layering their account tiering structure, a brand new set of criteria that identifies accounts by status, performance against status, etc., right on top of the map. Once implemented, Modern Star reps across the organization found if very easy to pick out an area based on set criteria, view only that area, and plan their day accordingly. How does Modern Star utilize MapAnything? Realizing their territories were getting too large for one rep to manage, Modern Star has been able to visually balance their territories so reps are able to visit their entire customer base, rather than a portion. Modern Star marketing is now using MapAnything to identify customers that are based in locations where we're hosting workshops and attending conferences to expand their customer base and reach new goals. Easy prioritization of accounts based on custom account tiering to ensure high ROI customers are visited more frequently and avoid any decrease in territory sales. Utilization of geo-fencing for automated check-in/ check-out feature for accurate time tracking and revenue generation. Prior to using MapAnything, our reps were working with a wad of paper every day to show them the locations of where their accounts were. Since using MapAnything, we've been able to create layers so they can be quite strategic in planning their day. We find most reps will spend maybe only five or ten minutes now, instead of two hours, plotting for the next day. Easily and quickly identify a nearby account to fill any schedule gaps. Increase their customer visits from two-three visits per day, to six or seven visits per day. Enforce accountability through a customer “performance traffic light” to show accounts that are in positive standing, those that need a visit, and those that have room for improvement overall. Easy “Mass Action Add to Route” features ensure time spent after-hours with family and friends is maximized. Instead of spending a few hours the night before to plan a route, “Add to Route” features within a proximity shape allow the rep to add multiple accounts to a route within seconds. Record update transparency and cross-department communication allows remote reps to feel part of a cohesive team despite Modern Star being spread across multiple countries and continents. Saved 2+ hours per day in route planning and optimization. Since [the reps have] used MapAnything, it's been a huge time saver for them which they are really grateful for. A few of the reps have reached out individually to MapAnything for some support and have found [the response] fantastic. I've been really delighted with the service that we've received from them, and we'll continue to work on our partnership to maximize our investment in MapAnything.